Product code: ES2624 Categories: Sold Items, Sold Rings. What a wonderful and charming antique solid opal and diamond ring that was made over 100 years ago and still looks so fantastic and delightful. 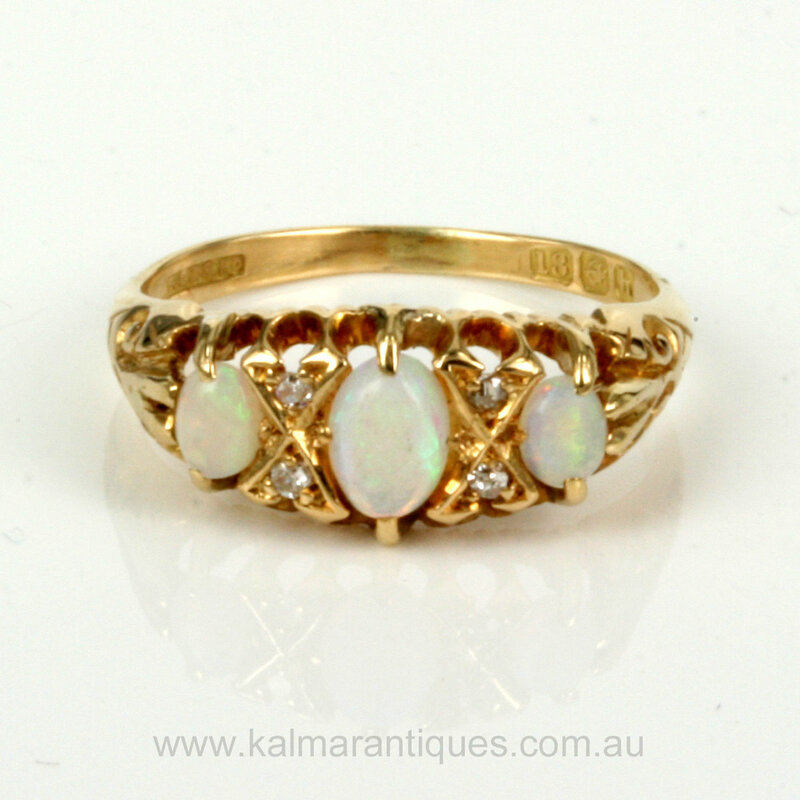 Made in 18ct yellow gold in Birmingham in 1907, this antique ring is set with 3 solid white Australian opals. Typical of the lovely detail with many antique rings, are the setting for the 2 diamonds on either side of the central opal. Instead of simply having one diamond, the jeweller set two diamonds into a charming setting which gives off just the right amount of sparkle and makes this such an easy ring to wear all the time. From left to right 15.1mm across by 8.3mm at its widest part at the central opal. 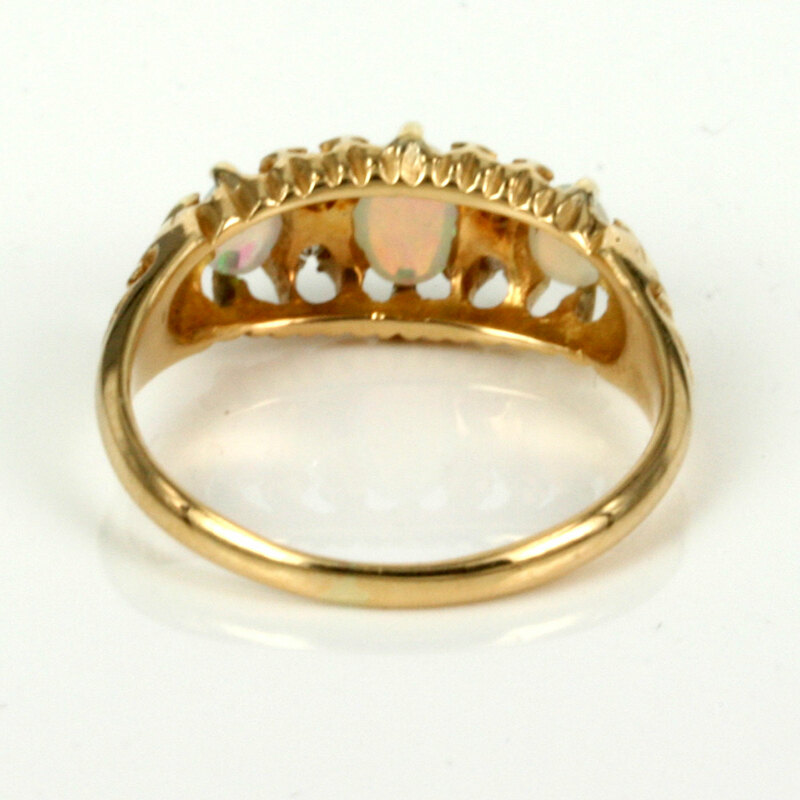 This is such an attractive antique opal and diamond ring that looks and sits so well on the finger and is a testament to the quality of the jewellery that was made over a century ago.